First post here but have been lurking for a while. I have just acquired a 96 Yo Eddy that I a super excited to build up. Doing a bit of a web search seems there is a lot of variations for how these were built. I have a bunch of XTR M952 and red anno bits so thinking of building up as per the specs below. Let me know what you think. I have XTR M952 cranks and BB but really want to use the syncros on something special and these seems like the bike. New here myself. Frame looks great and inspires a cool build. Syncros crank...nice. Just completed a Wicked build using some 80s and 90s parts with new CK headset and recent Paul Neo-retros. Found Ritchey Force stem and seatpost which look good and Bontrager San Marco seat which for me is comfortable and functional. Have fun on your Fat! Thanks guys, yeah it should be a fun build. It will be ridden not just sitting in the shed. So a I am assuming that is in fact a 1996 model and not a 1995. The difference I can see between the 2 years is the '0' before the number. I am guessing that it's frame number 451. Do you think I am correct? How's the build coming on, have you got any pics of it built up yet? 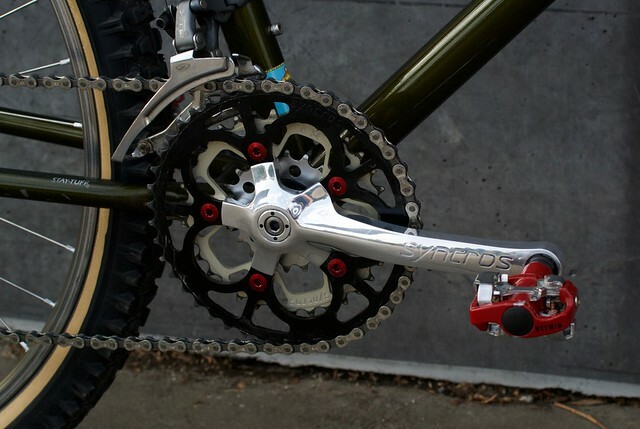 I think it would work with either the syncros or xtr cranks, and even some red ano ones as your adding other red parts. Also i think a red post and silver syncros stem/bars would finish it off nicely. Not far away from building it up. Just waiting on the stem to arrive. Ended up going with a silver CK head set and found some NOS RooX bars and seat post. Usually like to match post and stem but think the post and bars will work. 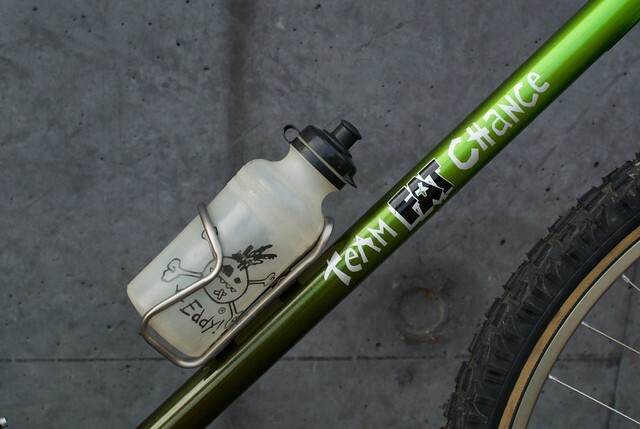 The stem I have at the moment is Control tech but think I will look for a 1 inch syncros to match the cranks. Will post a few pics when we start to build her up. My Yo is pretty much done. Need to change the seat and grips. Will post up some more images and the final build details once the final parts arrive. Been riding it around and it's just awesome. Looks really nice. Red accent with green goes great! 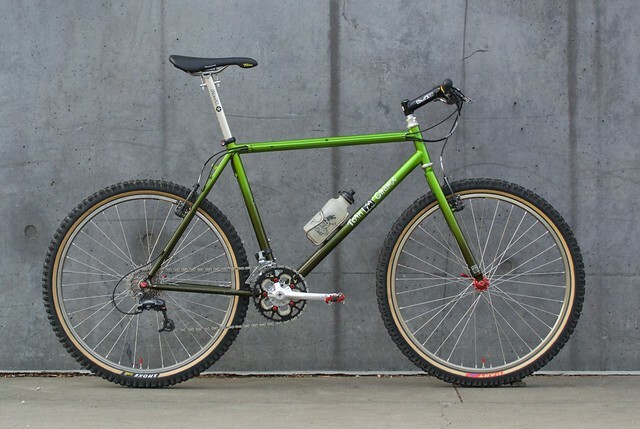 Built by Steve at Whites Bikes, wheels by Dan at Shifter Bikes. That looks just like mine! lol.